Linda Gail Richardson, 72 of Hardyville, passed away Tuesday, December 4, 2018 at the Medical Center of Bowling Green. 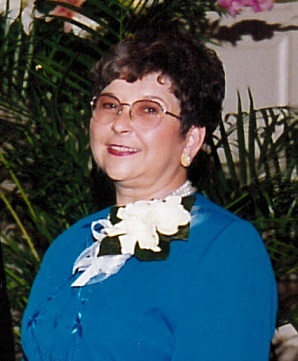 She was a native of Hart County and a long time member of Hardyville Union Church. She was a retired hairdresser, having operated Linda’s Beauty Salon in Hardyville for over three decades. Afterwards she worked to promote tourism in Hart County and surrounding areas. She is preceded in death by her parents, Raymond Adams and Lillian Phillips Adams. She is survived by her husband of 52 years, Roger Lee Richardson of Hardyville; one son, Lee Richardson of Chattanooga, TN; twin grandsons, Joshua and Justin Richardson of Chattanooga, TN; one sister, Barbara Bradshaw of Glasgow; one nephew, Charles Bradshaw of Indiana; one niece, Lalla Branham of Glasgow; multiple cousins and a host of friends. Funeral services will be held on Saturday, December 8, 2018 at 1:00 p.m. in the chapel of Winn Funeral Home with burial to follow in the Horse Cave Municipal Cemetery. Visitation will be held Friday, December 7, 2018 from 4 until 8p.m. at Winn Funeral Home and again on Saturday from 9 a.m. until time of the service. Expressions of sympathy may take the form of contributions to Relay for life or the American Cancer Society.